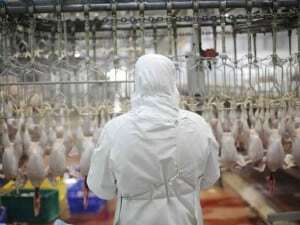 The Muslim Arbitration Tribunal has set a date for the forthcoming arbitration hearing in which a key issue regarding the Halal slaughter of animals will be discussed in light of Islamic Law and FSA guidelines. The MAT has been requested by leading authorities within the Halal slaughter industry to arbitrate on whether the machine slaughter of animals is legal under Islamic Law and the guidance provided by the Food Standard Agency. The FSA guidelines on Halal slaughter states that the words “Bismillah, Allahu Akbar” must be recited upon each animal or bird prior to slaughter. The failure to do so would therefore render any such animal Haram (forbidden) under Islamic Law. The MAT was established in 2007 to mediate and arbitrate on matters concerning Islamic Law, whilst operating under the remit of the Arbitration Act 1996. The Judges who will preside over the hearing are senior Barristers Mr Tahir Khan QC and Mr Amir Sultan as well as the expert Islamic Scholar and Solicitor Maulana Arif Awan LLB. At the arbitration hearing, the Tribunal will enable both parties to make representations in support of their case for or against machine slaughter, with the final determination being made by the arbitration Judges. Members of the public are invited to attend the hearing however only those parties who have filed their submissions in writing by the deadline provided by MAT will be allowed to actively participate at the hearing. At the hearing itself, each party will be given equal opportunity to present their arguments with the other party given time to argue in opposition. Upon hearing the evidence, the arbitration Judges shall then deliberate upon the disputed issue and inform the parties of their determination. In reaching their decision, the Arbitration Judges shall take into account the Laws of England and Wales as well as the recognised school of Islamic Sacred Law. For further information, please contact MAT by e-mail at info@matribunal.com or via their website www.matribunal.com.